Britain has invaded Afghanistan twice before in the nineteenth century. Both times tenacious Afghan fighters defended their country to humiliating British defeats. The Soviet Union also discovered what a tough enemy the Afghans are after nearly a decade of conflict from 1979 to 1989. When not fighting foreign invaders, Afghanistan was torn apart by Civil War from 1990 to 1996, resulting in victory for the Taliban. 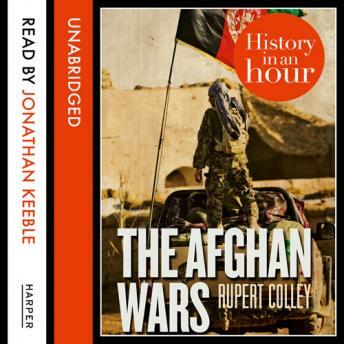 The Afghan Wars in an Hour is an excellent way to learn all about the complex wars that have been fought in Afghanistan for almost four decades. It explains who the Taliban and the Mujahedeen are, how their politics work, why Osama Bin Laden was so significant, and why it is so hard to achieve peace Afghanistan, all in just one hour.